& Can Automate Your Entire Online Business? DAP has a built-In ContentResponder (to drip content), Email Autoresponder and Broadcast system, Shopping Cart with Coupons, Dime-Sales and 1-Click Upsells and an Affiliate Program That Instantly Turns Your Members Into Your Own Private Salesforce! Everything You Need To Know About How To Create Content, Package That Content And Make Money With It. If you create a free report like the one you see to the left, you can deliver it as a one-time PDF download. Or you could break up the chapters deliver them as a series of posts that are part of a training course. Or you can make them a part of a recurring subscription and drip them over time. So many ways to "Slice-and-Dice" your new content - and your existing content - and package them as different products to maximize your sales. 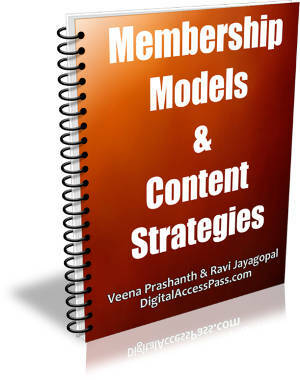 In this free, no-nonsense, no-fluff report, you'll learn about the 9 Membership Models and 12 Content Strategies that we've used ourselves to great success, and have helped thousands of our users implement on their own web sites. DAP has a built-in shopping cart that supports several payment processors directly. DAP also supports the third-party carts below, which in turn allow you to accept payments from multiple other systems of their own. You already know that Upsells are the fastest way to instantly increase per-sale revenue. Now imagine being able to increase your earnings by 10%, 20% or even 50% – just by plugging in this simple strategy right into your existing sales funnel. 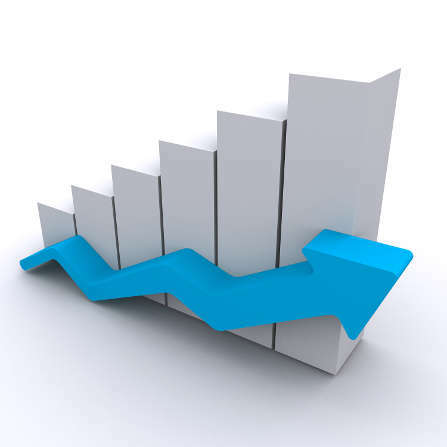 And you can actually achieve such increases in profits with your existing products, existing leads and existing customers! Using Stripe, Authorize.net and Paypal Website Payments Pro, offer 1-Click Upsell and Downsell capability, where users enter their credit card information just once for the main product, and all following upsells are just “Add To Order” where they don’t need to enter their credit card information again. DAP is also one of the few membership platforms that gives you a way to do 2-Click Upsells using just a Paypal standard account. No merchant account required. DAP has the most powerful content dripping features in the industry - bar none. ContentResponder with Tru-Drip: Make individual pieces of Content drip, little by little, exactly on the day you want - just like an email autoresponder drips emails. Set a blog post or a file or a video to drip on Day #1, Day #7, Day #31, etc. Or you can set it to drip on a specific date - like 12/31/2010). Only DAP has Tru-Drip which can save you an extraordinary amount of time setting up content dripping over a longer duration - like say, over a year (or even when setting up dripping for even a few months ahead of time). You can also use DAP's built-in Email Autoresponder to do what we call as "Synchronized Dripping" where you can set up an autoresponder email to go out on the same day that a piece of content is set to drip. You can use said email to notify your members of new content. DAP has a built-in Affiliate Module that allows you to recruit your own Affiliates who can help you promote your products and web site for a piece of the profits. 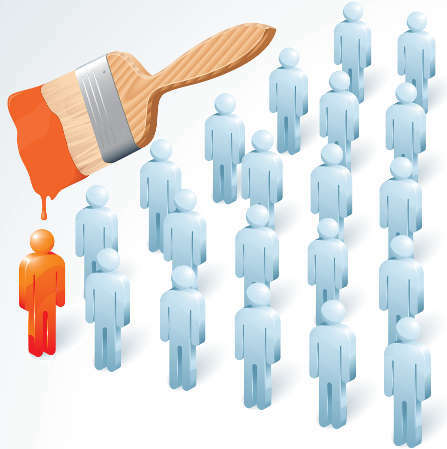 Integrated "Affiliate-Only" Access: A free member who also automatically becomes affiliate, gets an affiliate link and can promote your product and earn commissions, but cannot access site content. Very useful for Marketing- or JV- partners. Global Affiliate Link Redirection: You can set what is the default landing page for all of the default affiliate links. So if you have an sale or promo going on, you can set all default affiliate links (that are not using the "Custom Link Redirection" above) to go to a different landing page. And then after the promo is over, you simply redirect them all back to your home page (or any page you choose). LifeTime Affiliate Commissions: Once your affiliate is locked into a user, all subsequent purchases from that user results in a commissions for that same affiliate. No other affiliate can steal it, even if the user clicks on a different affiliate's link before making subsequent purchases. Affiliate Payments For Offline Orders: If an affiliate referred a buyer to your web site, and the buyer ended up paying offline, then you would never know that they were referred by an affiliate. Not so with DAP. Just enter the offline payment into DAP. And then the cookie that is still on the buyer's computer triggers the correct affiliate credit the next time the member logs in to your membership site. Proudly tell your affiliates that they will never get screwed out of a single referral payment!Your affiliates are going to love you for this, and promote your product even more passionately. Affiliate Payments For Even Word-Of-Mouth Referrals: There will be times when people may not click on an affiliate link before making a purchase. They may have just "heard" about your product from a friend. And they will sometimes tell you (on your checkout page) that they heard about it from "Jill Friend" Or "Joe Partner". DAP allows you to manually give Affiliate credit to Jill Friend or Joe Partner for the purchase, even though there is no affiliate tracking in this case. DAP works with WordPress like a dream! Deeply integrated with WordPress, yet a WordPress update will not break DAP. 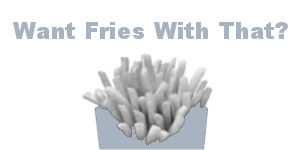 Also works with plain HTML and PHP sites. Sell both one-time products as well recurring subscriptions. Offer free and paid trials, lifetime or fixed-term subscriptions. Automated recurring billing. All details stored at payment processor. Add your buyers to third-party email service providers like Aweber, MailChimp, GetResponse, Infusionsoft, 1ShoppingCart and SendReach. Add to any custom list per product purchased or sign up in DAP. Unlimited pre-scheduled autoreponders. Set up different autoresponder series per product. Skip paying monthly fees to Aweber or Mailchimp. Synchronized drip to send email every time content drips. Support for Unlimited email broadcasting. Send emails to different groups of members or to all members right from the Admin Dashboard. Integrate both autoresponders and broadcasts with Amazon SES for high deliverability. Create a 1-tier (or optionally 2-tier) Affiliate Program so that your members can sign up to be your affiliates and promote your web site and get paid commissions when they refer new members. DAP has the best Content Dripping features in the industry. Drip WordPress pages, posts, categories, even regular files like .Doc, .Mp3, .MP4 and .Zip. Or skip dripping and make it all available from Day #1. Protect WordPress Pages, Posts, Categories, Custom Post Types, HTML files, PHP files, PDF, Zip, .Doc, even Images. Do In-Page dripping of content using Shortcodes for partial content protection within a page. Protect all kinds of files (Zip, Mp3, PDF, Doc, even images!) Use Amazon S3 for larger media, like Video and Audio and use our S3MediaVault plugin (free with some licenses) for playing HTML5 Videos with iOS support. Unlimited Products, Unlimited Membership Levels, Unlimited Members, Unlimited Affiliates, Unlimited Email Autoresponders & Broadcasting, Unlimited 1-Click Upsells, Unlimited Coupons... Unlimited Everything! All of your content is within WordPress, so it takes on look and feel of your WordPress theme. Customizable buy buttons, post-login pages, error pages, log in page, unsubscribe page, and more. Customize all of the member-facing DAP pages and also send non-English autoresponder & broadcast emails in any UTF-8 supported language - like French, Danish, Chinese, Russian, Spanish, Italian and more! DAP integrates with all WordPress-based Forum plugins, like Simple:Press, bbPress, BuddyPress, and Mingle. For more powerful product-level options, integrate it with XenForo and vBulletin. "What I love about DAP is that it is built by marketers, around the Wordpress platform. So that means it is plug-n-play easy and robust out of the box. It works with the shopping carts I use and makes getting a project up and running easy. 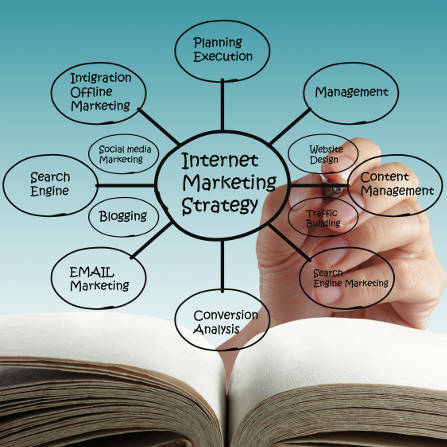 When looking to manage your content, it is the perfect solution. Just look at the feature list. But what makes DAP stand out better than anything else is the support. There is a reason they have raving fans and support is the answer. In a nutshell, DAP is a Winner!" DigitalAccessPass (DAP) is a Membership Plugin for WordPress (and plain HTML/PHP web sites) used by 25,000+ users on more than 43,000+ web sites. It's a complete end-to-end, content-delivery platform for creating a membership site - or even just a password-protected private area - and securely delivering different types of content. Provide both free and paid access to many different types of Content - like WordPress Pages, Posts & Categories, Videos, Audio files, PDF Reports, MS Office Docs, Zip files, HTML pages, and even Images! Protect and Drip just about any kind of file with any type of extension. Sell Recurring-Subscriptions as well as One-Time Products. Accept Online Payments via a whole range of carts and payment processors, like... Stripe (new) Authorize.net, ClickBank, e-Junkie, Paypal Standard (Business & Premier), Paypal Website Payments Pro, 1ShoppingCart and all private labels, 2CheckOut, Infusionsoft, Premium Web Cart, WP eStore, Plimus, Warrior WSO Pro, Google Checkout, JVZoo, DigiResults, and DealGuardian. Built-in FREE DAP Shopping Cart for Stripe, Authorize.net, Paypal Standard and Paypal Website Payments Pro so your members can check out and pay right on your web site. 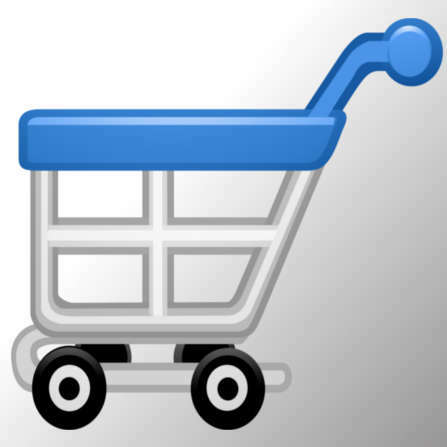 Free cart also has support for Coupon Codes and Dime Sales. Do 1-Click Upsells and Downsells, and One-Time Offers (OTO's) like the Pro's. Built-in Affiliate Program that lets you Pay-Per-Lead and Pay-Per-Sale with support for Paypal Mass Pay. Lets you offer (optionally) up to 2-tier commissions to your affiliates. Built-in Email Autoresponders (Unlimited). Send unlimited emails through your web host's email system. Add your members who buy through DAP to your existing list from Aweber, GetResponse, MailChimp, ActiveCampaign, SendReach, Infusionsoft, 1ShoppingCart (or private label) and more. Don't have a third-party email service? Or don't wish to pay for those expensive email services? No problem. Simply connect DAP to Amazon's powerful and low-cost SES email system, and get super-high email delivery rates, similar to what you would get if you used third-party services like Aweber or MailChimp. You could technically get rid of your third-party email service, and use just DAP and Amazon SES for all of your email marketing. And you would get the power and flexibility of doing it all from one location, plus the high deliverability of Amazon SES. Built-in Email Broadcasts (Unlimited). Uses DAP & Amazon SES for broadcasts as well, completely by-passing your web host's lowly email delivery rates, and enjoy the high deliverability of Amazon SES for just pennies (10 cents for every 1000 emails sent - so if you have 5000 members, and you send them 2 emails a month, your email bill will be a whopping $1 (one dollar!) per month! Synchronized Dripping: DAP is the only membership plugin that has this feature. Thanks to the integrated content dripping and email dripping features, you can set up reminder emails to go out to members informing them about new available content on your site, at the same time you've set up the content to drip. So if you're making a page with a video available on Day #14, you can also set up an email to go out on Day #14 with a direct link to that page with the video, and when they get there, if they were previously logged in, they can go right to the page. And if not, they will be asked to log in, and upon logging in, be automatically be redirected back to that page with the video. International Friendly: Use DAP with sites in non-English languages like Spanish, French, German, Dutch, Russian, Japanese and even Chinese! The DAP email autoresponder and broadcast system is one of the few available anywhere, that lets you send emails in non-English languages. Even some of the big email services don't have this! Create a Multi-Blog, "Content & Affiliate Hub": This is yet another DAP-only exclusive where you can have one single DAP installation protecting and managing the content to multiple WordPress installations on one domain (eg. YourUmbrellaSite.com/Niche1, YourUmbrellaSite.com/Niche2 , etc). Of course, you can still have multiple sales-page only web sites so you can have niche-specific sales content on different domains, but you can then add all members and buyers to one main "umbrella" or "parent" site so both you and your members have just one place to go to in order to log in and consume your content. PLUS the major advantage to this set up, is that your affiliates can now get paid for any and all purchases of all of your products, even if they're all being sold from different web sites. ... and so much more! "I could not be more grateful, or recommend their company more highly"
"As a digital marketer who also buys digital products and services, there is probably nothing more important than getting support when you need it. I have a digital book and video course that I wanted to password protect. I had tried setting my system up using a membership program that resulted in constant issues, poor customer support and left me feeling very unsatisfied. I had heard about Digital Access Pass and been curious, but got suckered in by the flashy website the other guys (who shall remain nameless) had. After my experience with those "other guys" I revisited DAP and gave them a call. I couldn't have been happier that I did! Not only did I get to speak to Veena personally, she took the time to make sure that DAP was actually the right system for me. Once I purchased it, I got complete support from start to finish. I was integrating several systems - Optimize Press, Clickbank and Aweber. Not only were they great to deal with, they made me feel like my issues were important and that they were not going to stop until they had my system up and running. I could not be more grateful, or recommend their company more highly. They provide the kind of empathetic, quick support that I strive to provide for my own customers. They'll have my business for life!" Once you look at our feature list, you probably won't need much convincing about why DAP is your best choice to power your Membership Site. There are the intangibles... things that are less obvious, less noticeable, less exciting, hard to do, and way less glamorous. So we wanted to first tell you about the DAP DNA - the core of our existence that makes us totally different from everyone else. 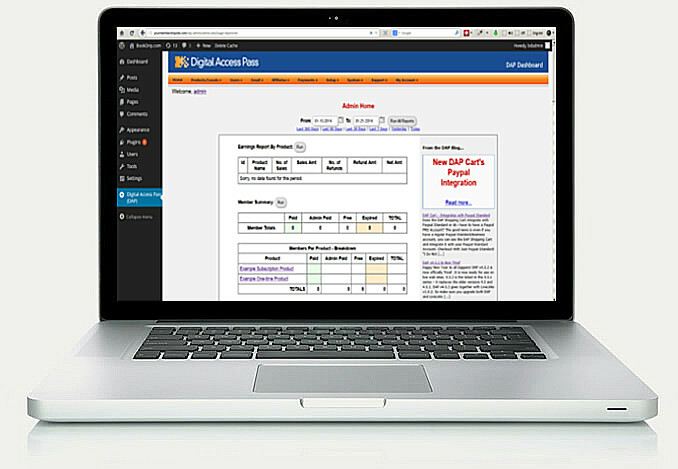 Here at DAP, we roll out new features into the current DAP software all the time, so all of the new as well as existing DAP users can get them at no extra cost. We come to work every morning feeling like an underdog (even though we're one of the top two membership plugins), feeling the need to excel, feeling the need to impress our users, still having the extraordinary urge to be called the best, still feeling embarrassed when someone finds a bug or points out a shortcoming, having the same breathless, anxious feeling you have when you first launch a new product. Even to this day, we still have the same passion and commitment, and feel the same excitement for DAP, that we felt almost 6 years ago when we first launched it. And that's why, we're the most passionate software developers you will find anywhere. And we are in this for the long haul, because DAP is not just a business for us, but it is the blood that runs in our geeky veins. DAP is our favorite hobby, it is what we do on our "break" and on "vacations", because we're in this mainly to make a remarkable product - something that our parents would be proud of, and something that our kids will be excited to be a part of when they grow up. And making money is just a happy secondary outcome, not our primary objective. If you see the hundreds of DAP reviews online, the one common thread you'll see that in all of them, is our famous, passionate, bordering-on-insanity technical support. We call it.. "Not Just Technical Support, But FANATIC'nical Support", our best-in-the-industry tech support service - for help when you need it. We list a phone number on our contact-us page for pre-sales questions and emergencies (can't say that about most of our competitors). And yes, it is a real, U.S.-based phone number - we're based in San Diego, California. You get Unlimited ticket-based support with your purchase of DAP. You can open as many support tickets as you want, and we will work with you until the issue is resolved. You have a direct hotline to the two main developers of DAP - Veena and Ravi - via the ticketing system. You can call us through our main number (listed on our Contact-us page) and talk to us directly. Nowhere else will you get such unfettered access to the core developers of a industry-leading software, but that's one of the intangibles we offer here. We develop all of our software in-house. We don't outsource our programming or development. Which means, when there is a bug, we know how to fix it - and we do it quickly. We are constantly monitoring changes to third-party services like Paypal, Aweber, Authorize.net, Stripe, Infusionsoft, ClickBank, etc - all of these companies make occasional changes to their API's. Which means DAP has to adapt to their changes as well. 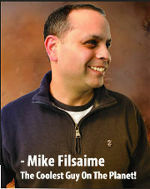 Which is why you need the expertise and quickness that comes with an in-house development team. Veena and Ravi - the 2 main developers of DAP - have a combined 40 years of development experience. They have spent nearly 26 of those (combined) on developing enterprise-level web apps for multiple Fortune-50 companies, and they've developed DAP with scalability, security, and extensibility in mind. Which means, DAP has been designed in such a way, that it is easy to keep adding new features over time without breaking existing features, and as your membership site grows from strength to greater strengh in numbers, DAP will scale and grow right with you, providing you the infrastructure and reliability of a large enterprise system - even though it only costs just a mere fraction of what such a robust system would cost. In DAP, you get the "Most Cared For" membership software in the industry... bar none. Check out our release history, and you'll see how regularly we release new features and updates to DAP. And most importantly, notice how we're including so many features as part of the core DAP software. Features like a powerful shopping cart with 1-Click upsells and coupons, Content Dripping, Email Autoresponders & Broadcasting, a 2-tier Affiliate Module, In-page dripping, and literally thousands of other features are built right into the core DAP software. Buy any DAP license, and you get all of those core features, built-in, and for free. Don't forget to check out our blog, where you'll see how much our users love us, and appreciate the passion and effort we put into making DAP the best WordPress membership plugin on the planet! 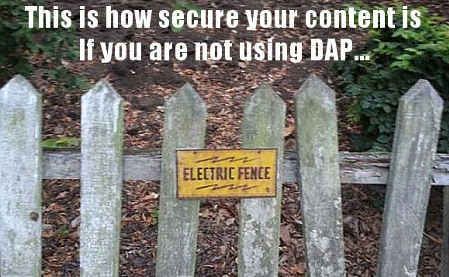 DAP does a whole lot more than just protect content. It allows you to automate both one-time payments as well as recurring subscriptions, upsell your buyers to add-on products and membership levels, deliver content and emails automatically to your buyers and members, market to them by email to sell more, recruit affiliates who can promote your products for a portion of your profits, and more.